Connect is a three-year Religious Education curriculum designed for use in Australian and New Zealand schools. It is Bible-based and offers 20 lessons each semester at Infants (ages 5 to 7), Lower Primary (ages 7 to 9) and Upper Primary (ages 10 to 12) levels. In each lesson students engage with the truths of the Bible week by week through music, drama, reading and writing, puzzle solving, drawing, and asking questions. Within the three-year cycle Connect lessons survey the broad sweep of Bible history from creation to God’s ultimate purpose for humanity. Each lesson seeks to introduce key biblical concepts, themes and major characters such as Abraham, Moses, David and Jesus in an active and engaging way, allowing students to explore the Christian faith and see how it is relevant today. The curriculum also encourages students to discover for themselves what the Bible says about the contemporary problems people face in today’s world. Included in the curriculum are teachings on the key events of Easter and Christmas as well as special lessons dealing with major issues that children face, including self-esteem, loss, caring for the environment, and coping with change. CEP school material uses best teaching practices, with each lesson containing a wealth of ideas and activities suitable for all teaching and learning styles. We believe the Scriptures are the best place to understand God, ourselves and how we are to live in his world. All CEP resources use quality, contemporary design and are particularly effective in engaging with today’s culture. Beginning with God is a one-year program introducing students (ages 5 to 6) with little prior knowledge of the Bible to the God of all creation, the people in his unfolding plan and his Son, Jesus. 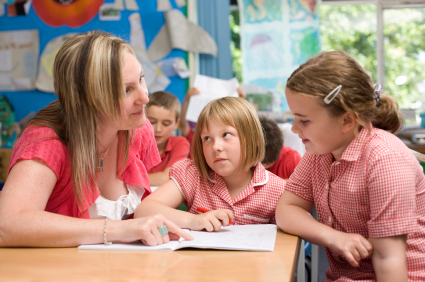 The Teacher’s manual provides 40 lessons, outlining full aims and preparation notes, learning outcomes and activities. A CD of songs, dramas and sound effects is also included. This one-year program is designed for students in the final year of primary (ages 11 to 12). It tackles many big questions students this age are asking such as ‘What is God really like?’, ‘What’s gone wrong with the world?’, ‘Does God really care about me?’, ‘What’s the purpose of my life?’, ‘Can people really change?’ and ‘What was Jesus really like?’. There are two semesters of curriculum available - each with 19 lessons. The Teacher’s manual for each semester provides clear aims and outcomes, easy-to-follow lesson plans, extension ideas, presentation slides and printable downloads. The Semester 1 manual features a CD of 16 songs, while the Semester 2 manual includes The Story of Jesus for Children DVD and a CD of nine music tracks. Big Questions may also be suitable for some Year 5 classes. In 2016 and 2017, the curriculum materials of SRE/RI classes in state schools were reviewed by Education Queensland and the NSW Department of Education. While these reviews were overwhelmingly positive towards the CEP Connect curriculum they did identify some specific examples where the material needs to be updated or improved. The Connect, Big Questions and Beginning with God curriculum materials were subject to a thorough review by an independent panel of education experts in time for their release across 2017–2019. Future internal reviews will be conducted on a rolling three-year cycle. 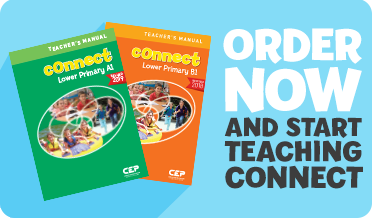 Currently, the Revised 2017 Connect A1, Revised 2017 Connect A2, Revised 2018 Connect B1, Connect B2 and Connect C1 materials are the only Connect resources authorised by CEP for use in SRE and RI classes. The Connect C2 resources will be revised, authorised and released in time for the start of second semester in 2019. The Revised 2018 Beginning with God resources are the only Beginning with God materials authorised by CEP for use in SRE and RI classes. The Revised 2018 Big Questions Semester 1 and Big Questions Semester 2 resources are the only Big Questions materials authorised by CEP for use in SRE and RI classes.